Fuschia pink glass beads and design ideas! I had featured some fuschia pink bead “triples” several months back see post here – and just recently started playing with fuschia again. 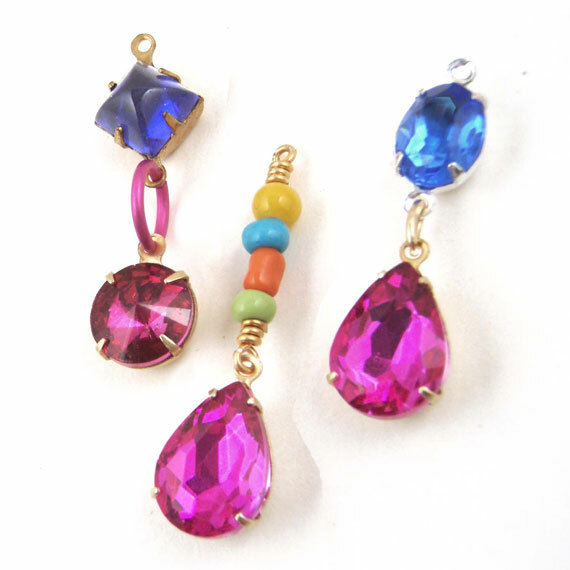 Sometimes that rich, bright color is just what you need! That’s the fun of making your own jewelry (and having lots of bits and pieces from previous projects!) You can try stuff. You can create your own look. You don’t have to spend a lot of money. We’re going for simple today. Pink glass beads – cabochon jewels, if you want to be technical about it 🙂 I’m getting more pink jewels in lately – people are wanting them. And it’s such a pretty color! Use them “as is” with dangling pearls or jewels. 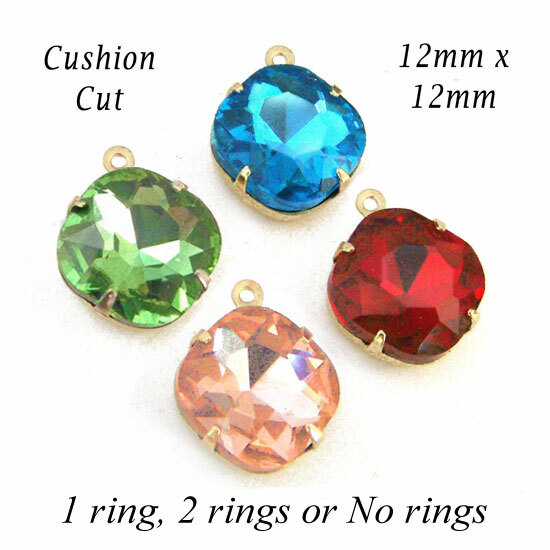 Or buy the settings with only one ring, on top of the stone – add earwires and you’re done. Or with no rings at all, you just glue on earring posts – and again, done. 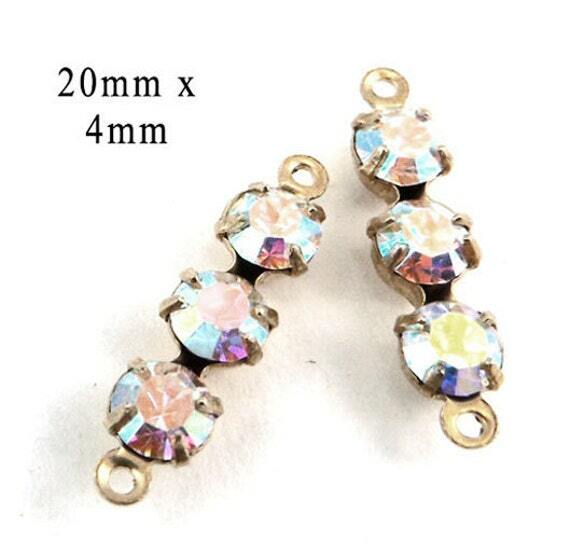 A classier pair of stud earrings, you are just not going to find! Well – you might be looking for other colors, which is totally doable. 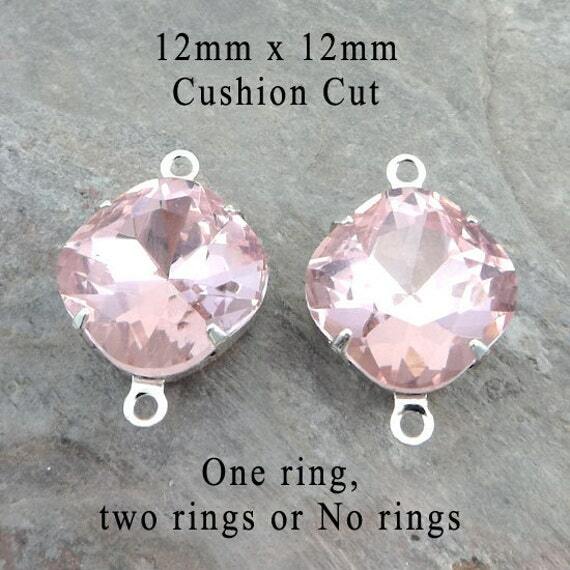 Check out the other “cushion cut” glass beads in my Etsy shop. DIY earrings are easy, they’re super affordable, they’re fun, and they will totally match your new outfit. This is a win!